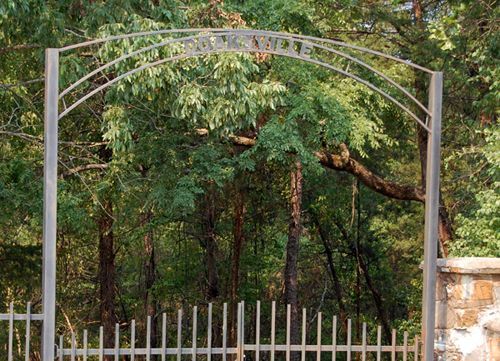 An archaeological site today, Doaksville was once the largest town in the Choctaw Nation. The settlement got its start in the early 1820s when a man named Josiah S. Doaks and his brother established a trading post. Anticipating the arrival of the Choctaw Indians to the area after the signing of the Treaty of Doak’s Stand in October 1820, the brothers moved westward on goods laden boats up the Mississippi and Red Rivers. Not long after they established their store, other settlers moved into the area for mutual protection. Raids from Plains Indians, especially those from Texas, caused nearby Fort Towson to be established in 1824. Afterward, Doaksville began to grow and gave every indication of becoming a permanent town. Commerce grew with the establishment of several roads built to supply Fort Towson. Sitting at the center of these crossroads, Doaksville prospered from the Central National Road of Texas that ran from Dallas to the Red River, before connecting with the Fort Towson Road which went on to Fort Gibson and beyond to Fort Smith, Arkansas. In addition, steamboats on the Red River connected with New Orleans at a public landing just a few miles south of Doaksville, carrying supplies to Fort Towson and agriculture products out of the region. In 1837, the Choctaw and the Chickasaw signed the Treaty of Doaksville which allowed the Chickasaw lease the westernmost portion of the Choctaw Nation for settlement. By 1840, Doaksville had five large merchandise stores, two owned by Choctaw Indians and the others by licensed white traders. There was also a harness and saddle shop, wagon yard, blacksmith shop, gristmill, hotel, council house, and a church. A newspaper called the Choctaw Intelligencer was printed in both English and Choctaw. In 1847 a post office was established in Doaksville and by 1850, the town boasted more than thirty buildings, including stores, a jail, a school, a hotel, and two newspapers. The same year, it was designated as the capitol of the Choctaw Nation. For the next several years, the settlement continued to thrive until Fort Towson was abandoned in 1854. Without the business from the soldiers at the fort, Doaksville began to decline. However, it would continue to be the tribal capital for the next nine years. When the Civil War broke out in 1861 the whole area would be devastated, with the region’s plantation-based economy being hard hit. 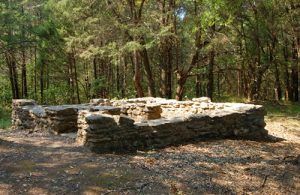 In 1863, the Choctaw capital was moved to Chahta Tamaha, where it would remain until 1882, when it was moved for a third and final time to Tuskahoma, Oklahoma. During the Civil War, the largest force in Indian Territory was commanded by Confederate Brigadier General Stand Watie, who was also a chief of the Cherokee Nation. Dedicated to the Confederate cause and unwilling to admit defeat, he would become the last Confederate general to surrender his command. When the leaders of the Confederate Indians learned that the government in Richmond, Virginia had fallen and the Eastern armies had been surrendered, most began making plans for surrender. The chiefs convened the Grand Council June 15, 1865 and passed resolutions calling for Indian commanders to lay down their arms. However, Stand Watie refused until June 23, 1865, a full 75 days after Lee’s surrender in the East. Finally accepting the futility of continued resistance, he surrendered his battalion of Creek, Seminole, Cherokee, and Osage Indians to Lieutenant Colonel Asa C. Matthews at Doaksville. In addition to the collapse of the southern economy based on slave labor, the Civil War in Indian Territory caused the destruction of substantial amounts of personal property. The death knell sounded for old Doaksville with the construction of the St. Louis and San Francisco Railroad through the Southern Choctaw Nation in 1900-1901. 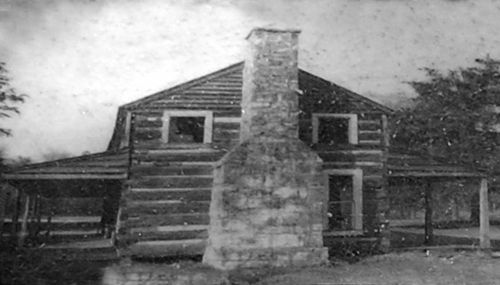 At that time, the few buildings that remained at Doaksville were abandoned or moved to a new town that formed near the railroad, taking the name of the old post – Fort Towson. In 1903, the name of the Doaksville post office was changed to Fort Towson. 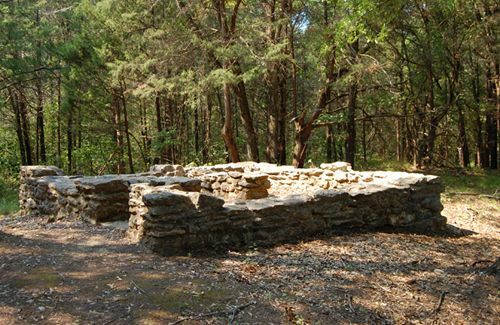 In 1960, the site of this once historic settlement was acquired by the Oklahoma Historical Society, though little remained on the surface to betray its former importance. In the 1990’s several archaeological excavations occurred, exposing the foundations of several buildings including a jail, several wells, a store, a hotel, and thousands of artifacts. Today, a walking trail leads the visitor through the site with interpretive signs telling the history of the old settlement. The old townsite, designated as a National Historic Site, can be accessed through the Fort Towson Cemetery. 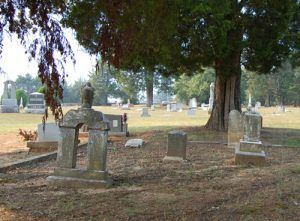 A portion of the cemetery holds the burial sites of many of the important people that lived in Doaksville.